Since many people are often changing their jobs, this means that they will have to change their addresses as well. Because of this reason it would really great to know that we are the type of agency you are in need of when it comes to end of tenancy cleaning. Every landlord will require you to pay special attention at your last cleaning because he will want the place to look as if nobody has lived there. Often this task can be really hard and because of this we would like to offer you our help. By hiring our professional end of tenancy services we will send you our mobile team made of highly trained individuals who will be more than happy to come at your place. The good thing here is that you can go and do your job while we are cleaning. Unlike other agencies we will not want you to stay at your place while our workers are doing their job. Our end of tenancy cleaning is all about making our clients feel more comfortable and so far we think we are doing a great job. 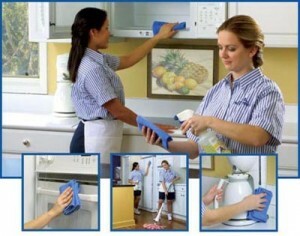 If you want us to come at your place and clean everything to perfection then just pick up the phone and let us know!